Do you like doing something good for the environment as well as doing something good for yourself? Do you like walking along tracks through subtropical palm groves or looking up through the branches of centuries old Banyan trees? What about some of the best snorkelling only a few meters off the beach over a coral reef? Want to escape from the rat race and your mobile phone for a week? Think about a visit to Lord Howe Island and joining in on Ian Hutton’s Bush Regeneration Tour. Oxley Travel can arrange it all. 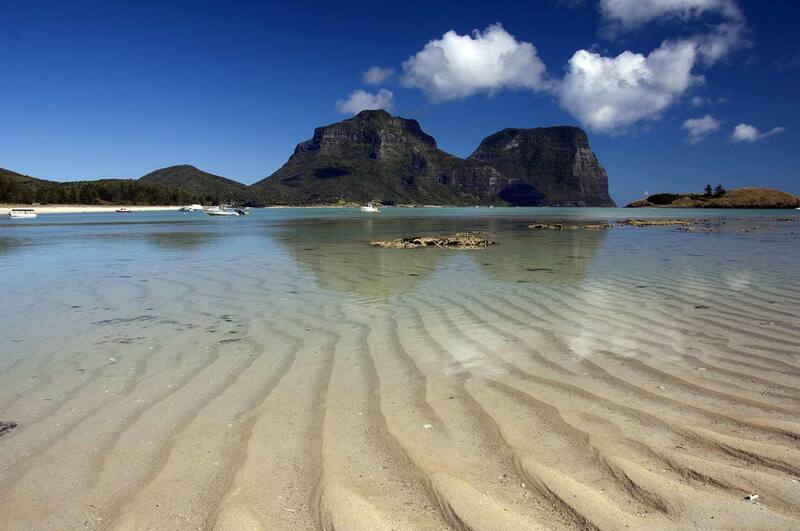 Ian Hutton offers a range of tours all relating to enjoying and experiencing the World Heritage listed Lord Howe Island. The Bush Regeneration tour provides the opportunity to ‘give’ back to the Island by volunteering some of your precious holiday time while enjoying and learning about this unique island paradise. I’ve done the trip 14 times and loved every moment of every visit. These tours attract a group of like-minded people from all walks of life, but all with a common interest from the very start. Many of Ian’s guests return more than once to continue assisting with the renewal of the Island. Ian has a wealth of knowledge about the island’s history, environment, fauna and flora. Each day is filled with fun interesting activities. The bush regeneration week is about volunteering your mornings to the regeneration of this unique World- Heritage listed environment by weeding, planting and restoring areas that have been impacted by introduced plants. The mornings usually start around 8:30 am and finish about midday. However, it’s not all work, after all you are on holiday! Following lunch, the afternoons are spent doing walks on one of the many amazing tracks on the island taking in spectacular views or watching the marine birds soar in the sky. You can also enjoy doing a reef walk at low tide to explore marine life or maybe take a boat trip to Balls Pyramid. Ian often leads the afternoon activity or he arranges for another knowledgeable local to guide the fun. You might like to start your day with a sunrise swim at pristine Blinky Beach like we do. The island has some amazingly beautiful beaches, if you like calm waters you can use the lagoon side of the Island or for more waves you can use Blinky Beach on the opposite side. Either way, the beaches are just as you’d expect on an island paradise. You might even take a day off from your bush regeneration work and take the guided walk, climb, scramble to the summit of Mt Gower. At 800m you have stunning views. Not for everyone, but well worth it if you do. Using up all that energy needs to be fuelled with good food, Lord Howe Island has some lovely dining options. Dinner venues offer great food with menus developed by creative chefs. The local King fish is always fresh and prepared in many different ways. Joining one of Ian Hutton’s groups for your visit means you eat at different restaurants over the course of the week, allowing you to experience different venues and chefs creations. For those of us who also enjoy a good coffee, be assured you will be looked after on the island, BUT don’t expect early openers, it is a laid back place where things are done at a more leisurely pace. One day of your Bush Regeneration week is usually spent at North Bay, a short boat ride across the lagoon. It’s not a ‘volunteer work day,’ but is holiday time for you. It has a dramatic backdrop of a craggy peak called Mt Eliza. In breading season, it is teaming with marine birds nesting and raising their young chicks. Many of the birds nest on the ground as they have no natural predators on the Island, which makes close-up viewing both possible and magical. This is perfect for bird watchers or photographers. Ian Hutton is an accomplished photographer and has produced a number of beautiful books. If you visit North Bay at low tide you can clamber around the rocky shore below the towering cliffs to the Herring Pools. These geological formations are teeming with beautiful marine life and appear to be filled with a steely-blue water. Fun for looking or even a little swim. At North Bay we have a BBQ lunch after exploring the area. Some dedicated members of the group may attack some sea spurge weed on the beach dunes, but it’s up to you. Rainy days are not a problem during the week. With the museum and its cafe or some shopping in the few local stores time drifts by easily. Volunteers don’t work in the rain but you can sure still go exploring. When the week is coming to a close, I always feel exhilarated for the work that has been done and energized from the experience, ready to get back to the real world for another year.